I’m hoping this finds you well and happy and positively brimming with mirth and satisfaction after spending some quality time with your family – whether that be the family you were born with or the family you chose, or both! – and if not and this time of year is just a big ol’ pain in the rump then, drat it all to hell and tell me who I need to give some seriously stinky side-eye to, cuz I got yo’ back. I suppose it’s also that time in which people take stock of the year behind them as they leap into the year ahead, and this Shy Lion guy over here isn’t any different. And so here are my ruminations on life and the people in it. Sometimes, life is like knitting, and you are the knitter. As you pass the time, your knitting grows and grows and stretches down from your hands, the fabric gradually becoming neater and more assured. Your tension evens out, becomes steady, consistent and reliable. Your stitch definition becomes crisper and cleaner, and the patterns more and more complex and interesting. Sometimes you will encounter people who just don’t get it. They won’t understand your knitting. They won’t see the time and effort that goes into every stitch. They won’t see the difference between garter and moss stitch. They won’t see your winding stretches of cables and understand that hanging, breathless moment when you crossed those stitches without a cable needle for the first time. They don’t understand that you couldn’t just sell your knitting, or see the difference between what you spent days, months, years learning to do, practicing, refining, and what someone programmed a machine to do. But, there are other knitters who understand that this fabric – your fabric – took time and that sometimes it was a joy and sometimes hard won. They understand the time and control it took to knit smooth, even Fair Isle without puckering or Intarsia without holes. They know exactly how it feels to frog hours of work, they understand that sometimes you just don’t feel like weaving in your ends once in a blue moon. And there are people who don’t knit but wish they could. They don’t know how those folded hems came to be folded, or how a few different stitches repeated over and over turned into the most intricate lace, but they love it and appreciate it all the same. They can sense the effort and the knowledge that went into it and they’re content enough with that, and perhaps are more special because of it. When you share your knitting with them, they treasure it, and handle it with care. These people are your friends and your family. They are close to you because they can read your life the way other knitters can read your knitting. They understand your bumps and scrapes the way knitters understand your frogs and tinks. They know your joys and sorrows like knitters know your favorite colors or your preference for DPN over magic loop. And in the same way that someone doesn’t know how a sweater knits up but admire it enthusiasm anyway, maybe some of them don’t know how you came to be in their lives but are grateful that you’re there. And in the same way that you go back to your favorite knitting groups or yarn stores or blogs, you keep those people close because they’re priceless and they’re special and you have them in your heart, always. Thank you so much for joining The Shy Lion for some crafty adventures in 2013, I’m super grateful for your company. I hope you’ll come along for 2014, too! Share what you’ve been grateful for this year below! I’m one of those people who don’t knit, but wish I could, I sooooo wish I could. I have been knitting a scarf for 2 years now, yes, a scarf, yes, 2 years!!! 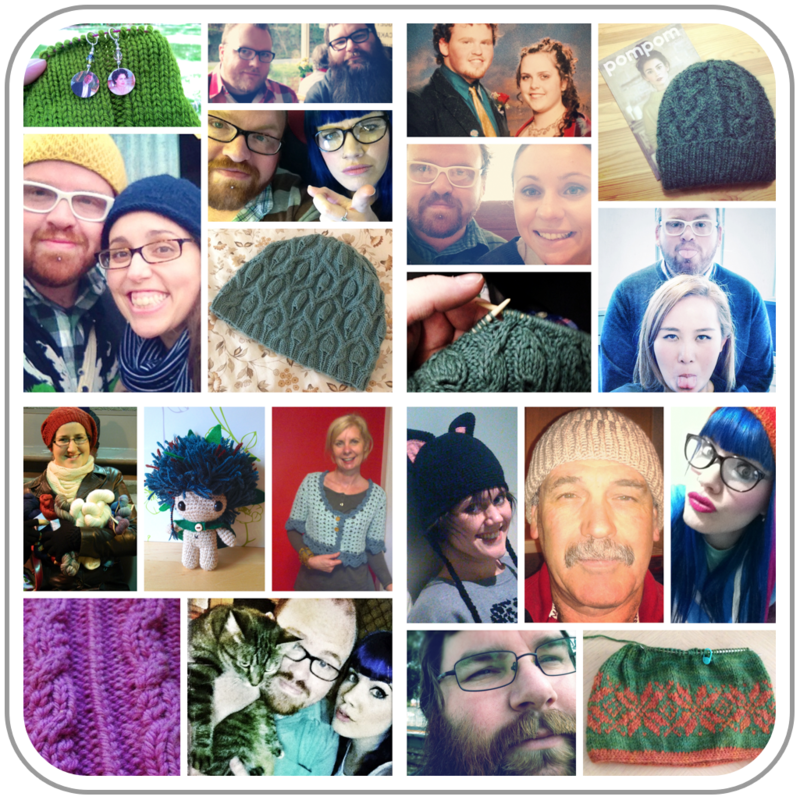 Maybe this year something will click… Love your beautiful analogies between life and knitting, so true.